Thin-Lite offers lighting products for the RV, marine, solar, commercial truck, trailer, emergency vehicle, agriculture and mobile or industrial office markets. 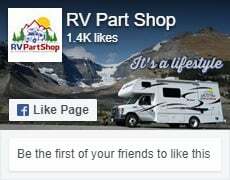 For over 43 years our company has successfully pioneered innovative and quality lighting solutions for a diverse group of industry applications, including motorhomes and travel trailers. We take great pride in offering the highest levels of customer service to our dealers and distributors and are always available to assist in identifying the best solution for your specific lighting needs.